Secure Data Recovery offers convenient data recovery services in the greater Pasadena California area. We also offer remote data recovery services for those time sensitive data recovery needs that just can’t wait. Our remote recovery services are perfect for businesses and individuals who need a quick data recovery solution, saving you time and getting your data back fast. Need your data back faster? We also offer specialized 24 hour emergency services. Our Pasadena office is one of many offices located throughout California. If Pasadena is a little too far for you, check out one of our other data recovery locations in California. We even offer easy drop-off and pick-up locations throughout the Pasadena area. As one of the most reliable data recovery companies, Secure Data offers a no recovery, no charge guarantee. Achieving a 96% success rate wasn’t easy, with years of experience under our belt, our engineers in Pasadena are confident that they can recover your data. The recovery process starts right when we receive your device. First our skilled engineers will run a diagnostics on the device. This way we can quickly pin point the source of data failure. Next our engineers get to work on recovering your data. Some drive may even require repair before recovery. Our engineers in Pasadena are certified technicians and our facilities operate Class 10 ISO 4 cleanrooms. Therefore, your devices are safe and secure in our facilities. That is not the only advantage when choosing Secure Data Recovery. We also hold SSAE 18 certifications and list our audits right on our site. For a full list of all of our certifications click here. 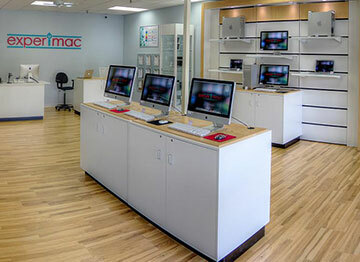 When you need professional data recovery services in Pasadena, CA, don’t hesitate to call us. Our knowledgeable customer service team is available 24 hours a day, 7 days a week, to take your call. Once you call, they can help answer questions and get your risk free case started. Call 1.800.388.1266 now to speak to a live agent. Fred Wright at secure data went above and beyond to help me out. I’m truly happy with the service and highly recommend this data recovery company to anyone in the same position that I was in. Thanks very much! Chris was so helpful when my external hard drive crashed with nearly 10 years of photos on it. Needless to say, would have been a very sad loss. I'm so happy for the SDR team and Chris for helping make this such a painless process. If you need your files saved, this is the place. Thanks Chris!